Services Company employees have dismissed claims that their acting MD James Ng’ang’a has been concealing corrupt employees. Talking to the press last week in Nakuru town, the more than 50 workers blamed some individuals from the Nakuru county leadership for spreading rumours that Ng’ang’a had already started operating from the MD’s offices. The workers’ leaders who sought anonymity said almost all workers at Nawasco are happy with the new management led by Ng’ang’a as even their salaries and allowances are now paid promptly. They said the previous management by former MD John Cheruiyot had accrued their salaries arrears to an extent that their lives had become difficult together with their families but now they are happy that they were paid last month on time. Also revealing that their morale in their workplace has tremendously improved since the ouster of their former MD, the employees further said that Nawasco’s revenue now has improved from Sh53 million, the highest recorded during Cheruiyot’s time, to Sh63 million for the last one month that Ng’ang’a has been at the helm. They said whoever passed the allegations to the press could be fighting not only the acting MD and the current board of directors, but also the workers claiming due to their working spirit, they have vowed to maximise revenue by reducing non-revenue water which was part of the woes during Cheruiyot’s management. “Non-revenue water wastage has been at 45pc during our former MD’s time but now we have projected to reduce it to less than 20pc following our current good working conditions,” one of the workers asserted. The charged workers dismissed the allegations on their boss terming them as baseless, unfounded and calculated to tarnish their acting MD’s new projections aimed at improving the water company’s image and accused Ng’ang’a rivals of witchhunt. 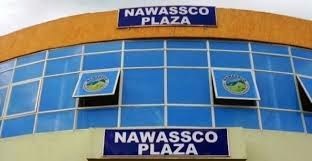 According to records with the workers, 136 out of the 184 Nawasco unionisable employees have abandoned their former union for a new one. They blame former MD Cheruiyot over their current mass exodus from Nuwase workers union to the Kenya County Government workers union. The workers claim Nuwase was controlled by Cheruiyot allegedly at their expense. MCAs from Nawasco’s water distribution jurisdiction said they are contended with the new management as the previous persistent water shortages in their area is now a thing of the past. However, they asked the acting MD to maintain their current water supply services with an aim of alleviating vices associated with lack of water in the Nakuru town and its environs. Also supporting their current board of directors led by Osman Ibrahim, the workers now are asking the Nakuru county and the central government to support their efforts in improving water distribution services within the former Nakuru municipality region in the town. Ng’ang’a took over the position after Nawasco board of directors sent Cheruiyot packing. Cheruiyot was sent on compulsory leave pending his retirement slightly a month ahead of his official term’s expiry.